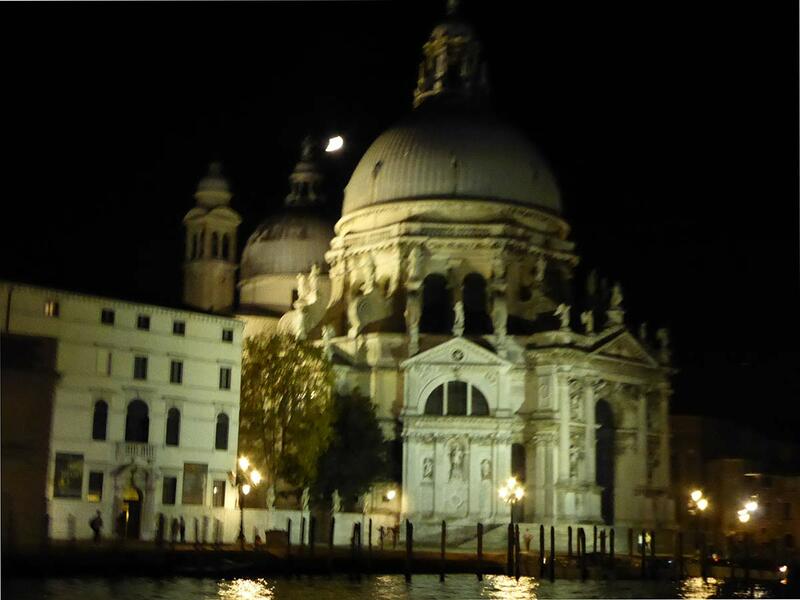 For those of you who have been to Venice, no doubt you have seen this beautiful church (chiesa) from San Marco Square. 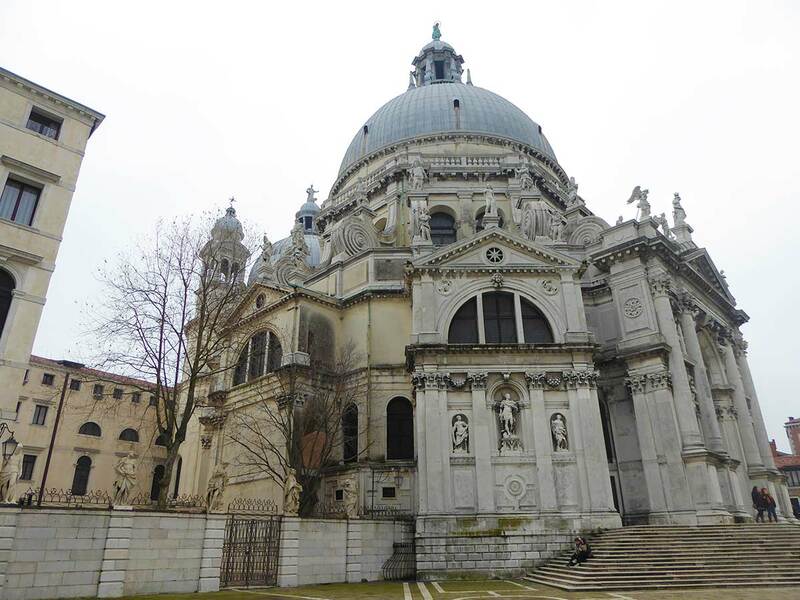 This beautiful church was built by the Doge Nicolo Contarini, at least it’s construction was begun by him. 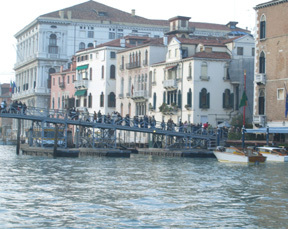 The plague of 1630 killed some 47,000 Venetians and through the lagoon some 94,000 died. This was about 1/3 of the population. The Doge sought help in the Virgin Mary to end the plague for the citizens. He remembered the building of the Redentore church in the previous plague (1575-76) when the Doge asked Palladio to design the Church of the Redentore. So he promised that he would build a church to honor the Virgin Mary if the plague was ended. It is kind of the Venetian Thanksgiving. The plague did end and even though the Doge himself died a victim of the plague, his promise was carried out. A competition was held and the winning design was the 26 year old Baldassare Longhena. It was built on a platform of 1 million wooden piles and constructed in Istrian stone (like much of Venice). It was finally completed in 1681. 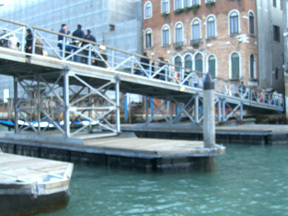 And since it’s consecration, each year on November 21, the Festa della Madonna della Salute is held with the city’s officials parading to the church for a service of gratitude. 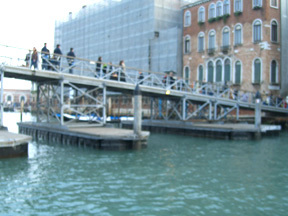 Now as for hundreds of years, Venetians celebrate the Festa della Madonna della Salute with families in procession to the church to light candles and pray for their health in the coming year. Even gondolieri bring their oars to be blessed as well. In the small streets arriving to the bridge there are vendors selling candles which you can light inside. Inside the church the altar boys take you candles, helping you light them. Then you proceed to the sanctuary. It is a working church with a congregation. 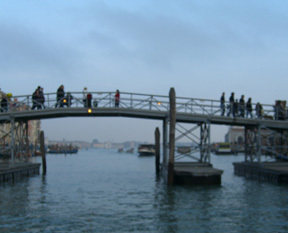 It houses an enormous wealth of original artwork from some of Venice’s most famous painters, like Tintoretto and Titian. It is a happy, yet solemn procession as families greet each other and remember the history of their beloved city.